Everyone knows that people from Yorkshire love bargains. I’m no different – as a family of 4 the costs soon mount up so we are always on the lookout for great value short breaks and days out for our 2 boys aged 4 and 2. The Stay, Play and Explore Family Fun package, run by Go Leicestershire, is one of the best value short break packages for families I’ve heard of. For just £129, families can get 1 nights accommodation (inc breakfast) at a 4* hotel, plus tickets to 3 out of 5 family friendly attractions including the National Space Centre, Conkers, Twycross Zoo, Twinlakes Theme Park and Stonehurst Family Farm. Drive down from Yorkshire to Leicester and spend the afternoon at the National Space Centre. Check into the Sketchley Grange Hotel and go for a dip in the pool. Plan to escape to the jacuzzi and steam room when the boys were in bed! Wake up nice and early, go for a swim and have a nice leisurely breakfast before heading out. 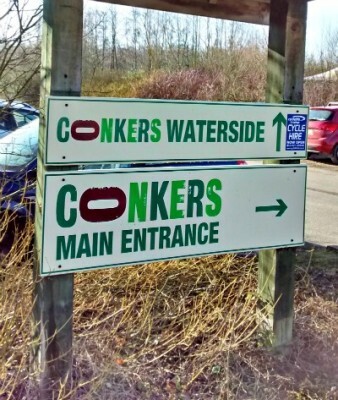 Let the boys burn off some energy at Conkers in the National Forest. 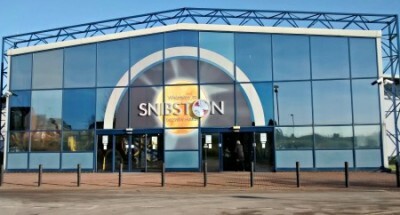 Drive to the Snibston Discovery Centre and let them and explore the science and mining themed exhibitions there. Drive home tired, but happy, after a fun weekend. We roughly stuck to the plan, apart from our Sunday morning dip didn’t happen because we didn’t wake up until 8.45am and had to get ready quickly so we didn’t miss breakfast! The boys loved seeing rockets, experiencing blast off and exploring part of the space station at the National Space Centre. 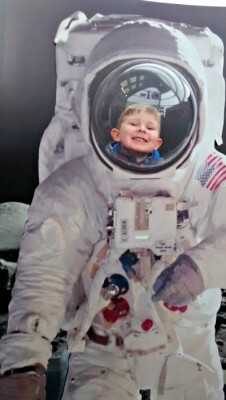 This interactive museum is suitable for toddlers to adults – they even have Small Space Toddler Days where preschoolers have the museum to themselves to take part in songs, shows and even get the chance to meet George the Astronaut. 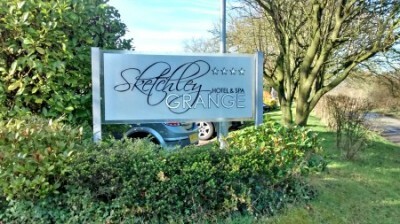 The National Space Centre is just 10 miles (30 min drive) from the wonderfully, relaxing Sketchley Grange Hotel where we spent the night. A family ticket (2 adults and 2 children) for the National Space Centre would have cost £48 for the day if you hadn’t bought it as part of the Stay, Play and Explore package. 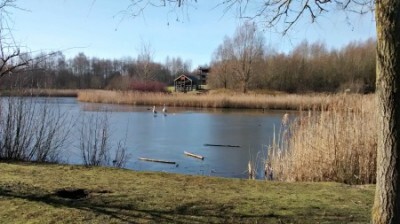 We visited Conkers on a beautiful, crisp winter morning and really enjoyed spending some time outside in the fresh air. The boys loved the Conkerchoo train and the massive adventure playground near the Waterside Centre. There is plenty to do inside if the weather isn’t great and are plenty of places for a picnic in the summer months. A Family Ticket to Conkers is £29.50 – again, all included in the Stay, Play and Explore package. Snibston Discovery Centre was a real treat. The boys loved seeing the planes, trains and buses and the 2 year old loved the dedicated Under 5’s area. 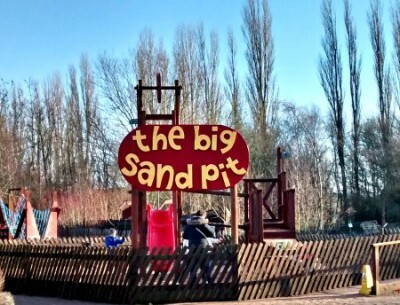 The outdoor playground was mining and science themed and one of the best I’ve ever seen. Go on – grab a Bargain…. Like I said earlier, I like a bargain and I truly think this is one of the best value weekend breaks packages I’ve heard off. I didn’t realise there was so much to do in Leicestershire for families, and this has really opened my eyes. Staying in a lovely hotel too is a real treat, and really makes you feel like you have made the most of your precious 2 days off. We came back with loads of photos, videos and happy memories whilst exploring a part of the country we’d not been to before – I hope you do too! Sincere thanks to Go Leicestershire for providing our Stay, Play and Explore tickets – we loved it!